Rupali is a third year PhD student in Experimental Psychology. Her research focuses on the effects of hormones on behaviours, like stress reactivity and memory, as well as brain functioning. In addition to that, she is interested in molecular biology techniques. Rupali's leisure activities include skating on the canal in the winter time and watching movies. Kheana is a first year Masters student in experimental psychology. Her research focuses on how self-compassion helps goal-striving and self-regulation in a variety of contexts, including weight management. She is also interested in the neural correlates involved in self-regulation. In her spare time, she teaches at a self-directed learning center, enjoys outdoor activities, and loves to travel. Fatou is a first year Masters student in the experimental program. Her current research focuses on the effects of implicit sequences on short term working memory in both young and older populations. In her spare time, she enjoys painting and playing the flute. Keera Fishman is a third year PhD student in Clinical Psychology. Her research examines how mood and apathy impact cognition in aging and in neurodegenerative diseases. Keera is also interested in memory consolidation and psychophysiological measures. Keera enjoys an active lifestyle and loves to ski and hike all over the world! 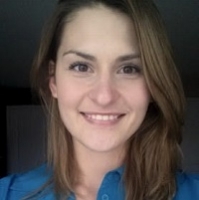 Daria is a third year PhD student in Clinical psychology. Her research is exploring how immune responses during the critical pubertal period result in neuroimmunological and neurodegenerative conditions, such as Alzheimer’s disease and Parkinson’s. In her spare time, Daria loves to explore the outdoors and travel. Kayla is a first-year PhD student in the Experimental Psychology program at the University of Ottawa. Her current research examines stress system regulation and structural and functional brain differences associated with stress in First Nations peoples. She is particularly interested in the relative roles of racism and discrimination on psychosocial and physiological stress responses. Kayla has many extracurricular interests, including travelling, music, gardening, and cats.